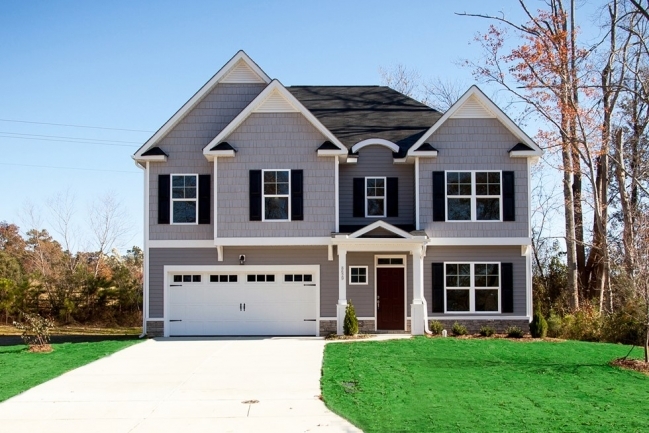 Ashton Glen | New Homes For Sale in Zebulon ! Take a trip back to an easier life at the Zebulon neighborhood of Ashton Glen; fresh vegetables from the weekend farmer’s market, romantic strolls along wooded trails, chasing fireflies at the garden or visiting the charming local horse stables. In Ashton Glen, Relax Outside and Enjoy the tranquil atmosphere among the rolling grassy hills scattered with ponds set to a foliage backdrop. Homes start from the $250s and are Custom Built by AV Homes. In addition to high quality, custom-crafted homes you can also get .75 acre lots and up, plus it’s only 3 miles to Carolina Mudcats Stadium! 17 miles from downtown Raleigh and 26 miles from RDU Airport; just outside the hustle and bustle of daily living. AV Homes we appreciate the fact that what we design and build reaches far beyond walls, doors, and windows. Your home is truly a sense of family and place; a haven of comfort and joy. This understanding shapes our entire thinking and philosophy and has culminated in our central promise: build what you most value. That’s a responsibility which AV Homes values and takes deep pride and pleasure in fulfilling; one which our team aspires to daily and which embraces a true passion in continually reassuring you that we will always do the right thing. To that end, AV Homes distinguishes itself by creating award-winning new home designs emphasizing the principles of healthy living and community involvement and brings the professionalism of its veteran team to ensure an unforgettable and seamless experience in reaching our goal: a positively delighted homeowner. When planning each inspired setting, AV Homes thoughtfully considers the location, features, accessibility, amenities, activities, and ultimately your well-being in always providing an innovative, exceptional and enriched living experience. From Raleigh: take 64 East, Take Exit 427/Wendell Falls Pkwy, Turn Right off the exit, Turn Right onto West 3rd Street, Take a slight Right onto Morphus Bridge Road, Stay left to continue on Morphus Bridge Road, Turn Left onto Ashton Glen Drive.